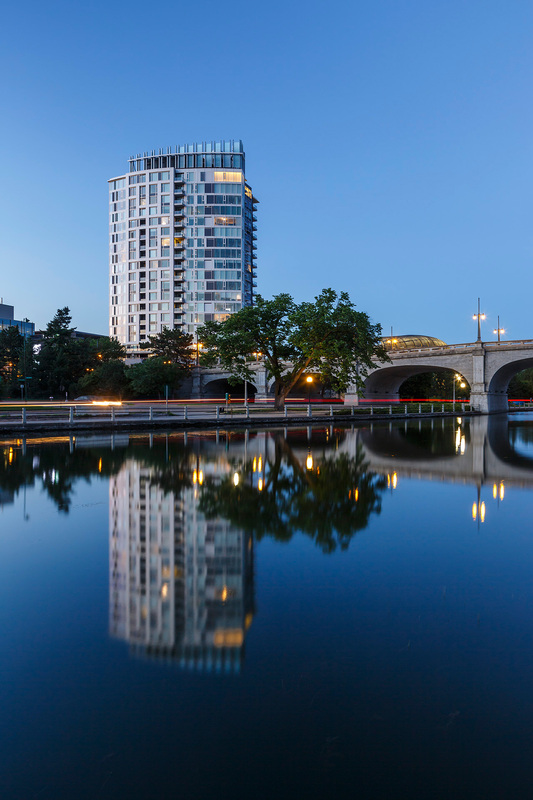 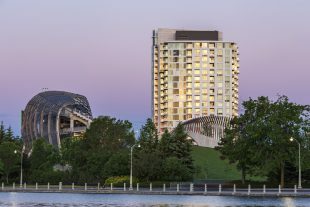 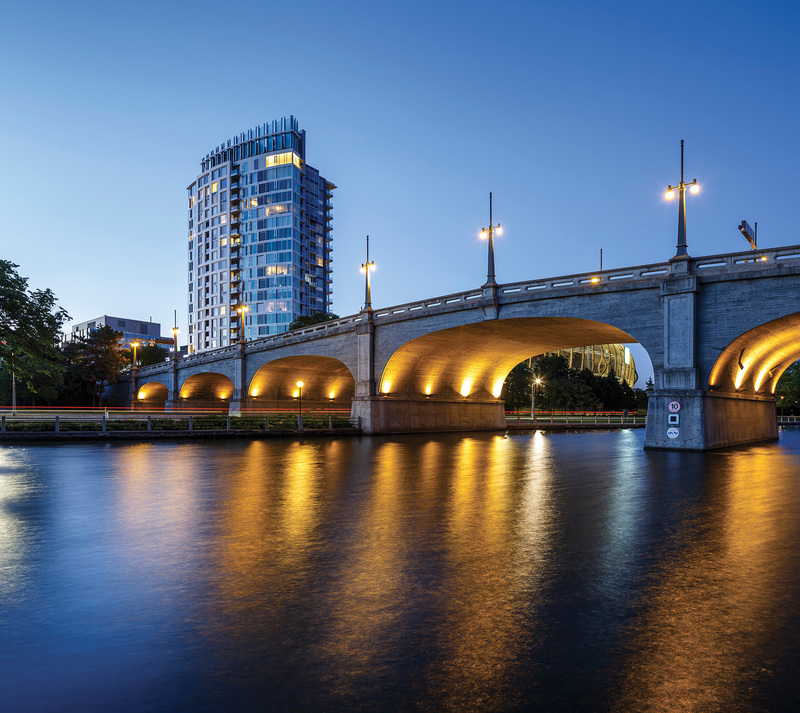 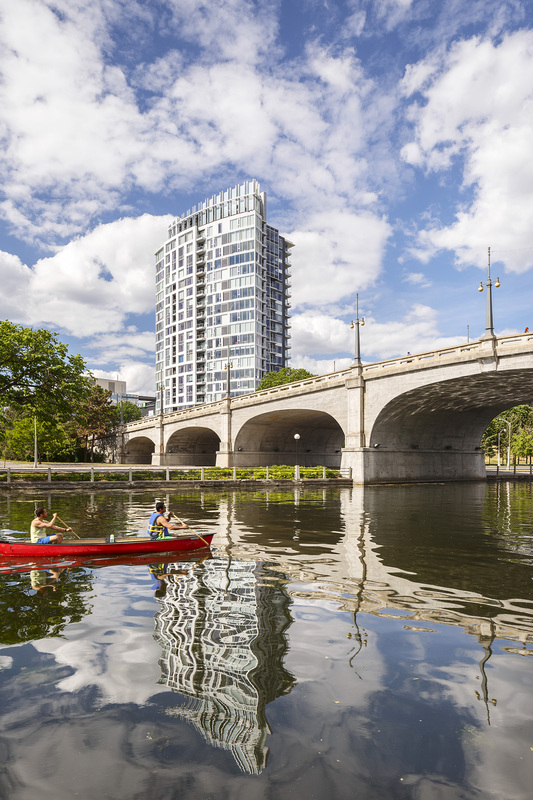 The Rideau is located immediately to the west of the Lansdowne Park stadium, adjacent to Bank Street to the west and The Rideau Canal to the south. 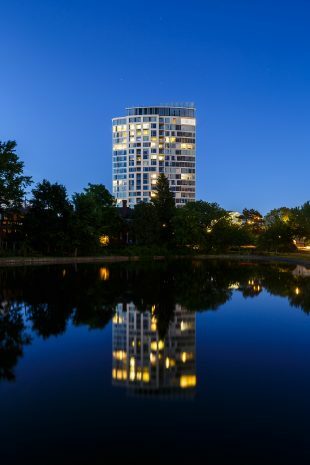 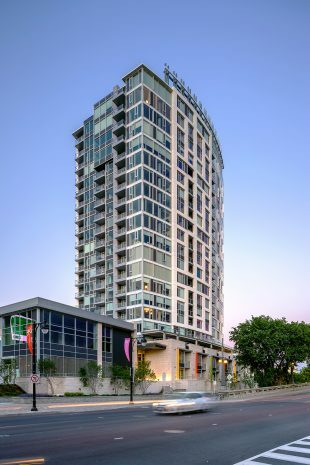 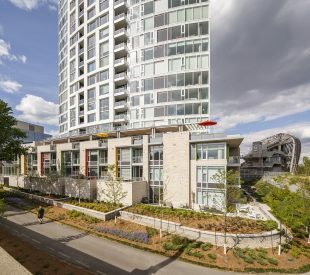 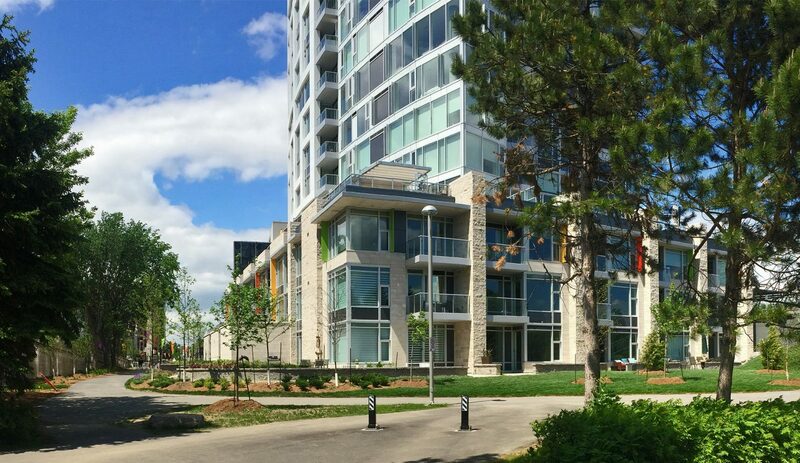 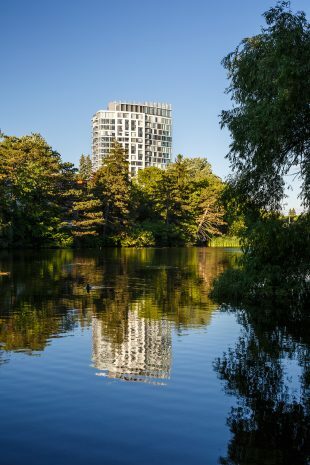 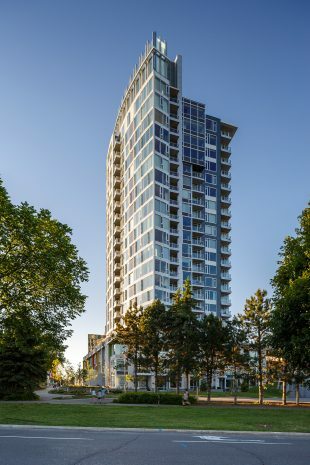 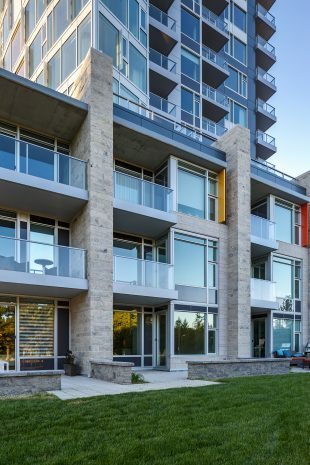 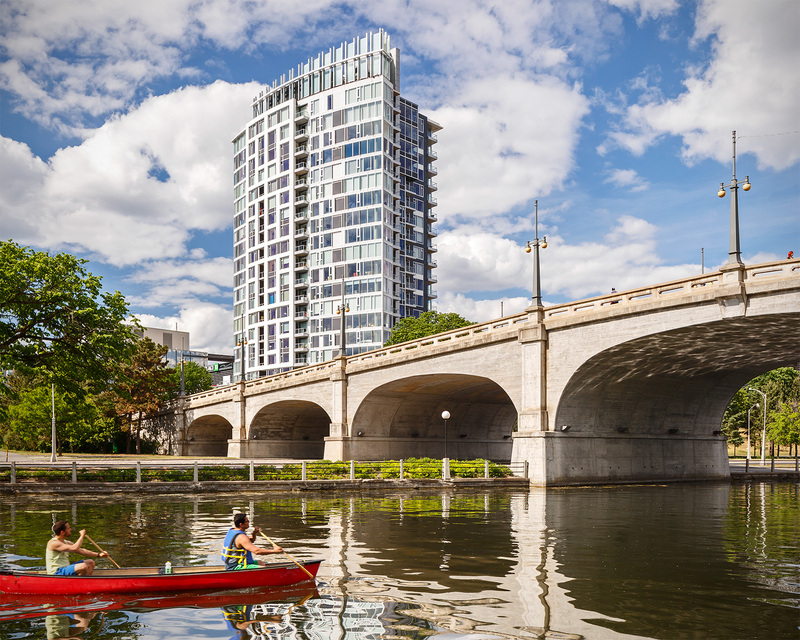 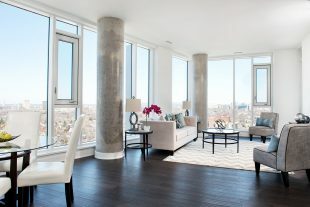 Its unique location offers many advantages such as views to the sports field and the UNESCO World Heritage canal site, and offered an opportunity to enhance the skyline along The Glebe’s south edge. 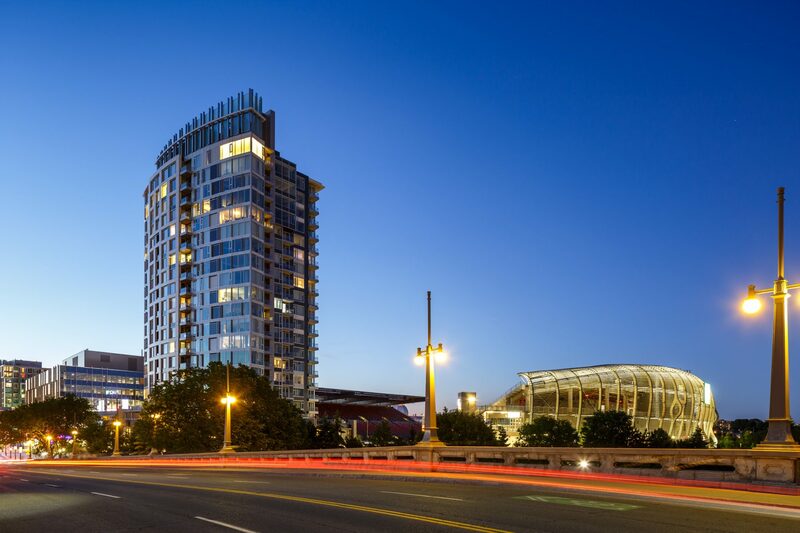 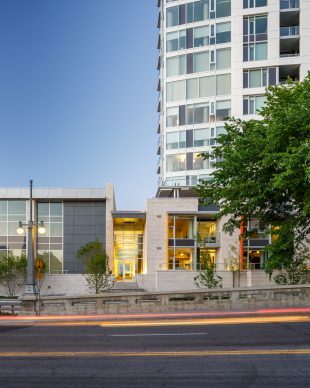 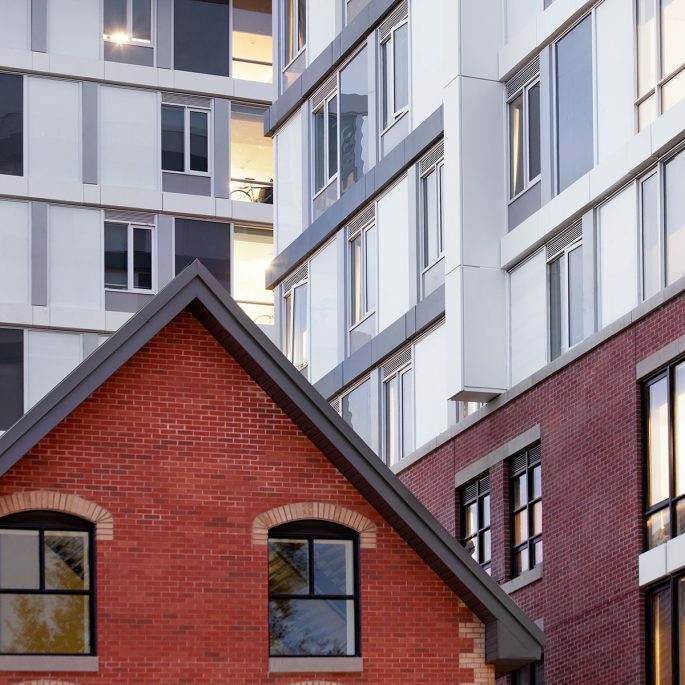 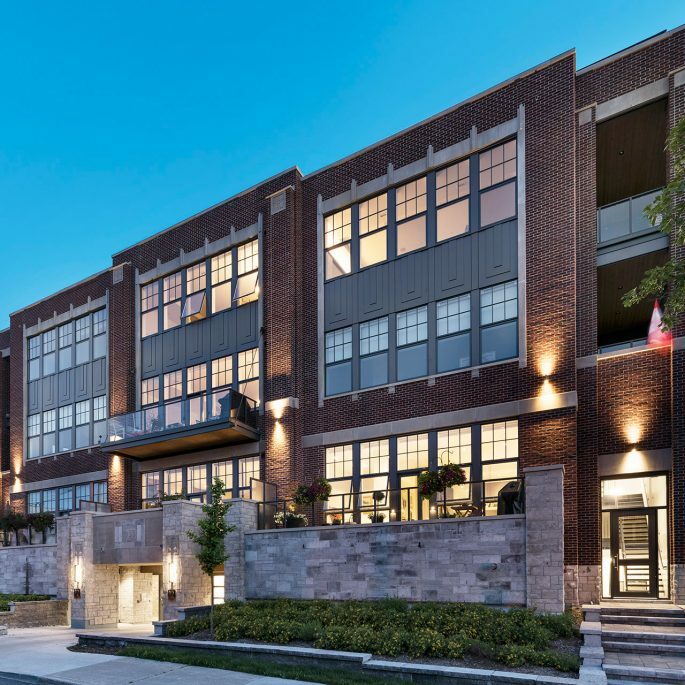 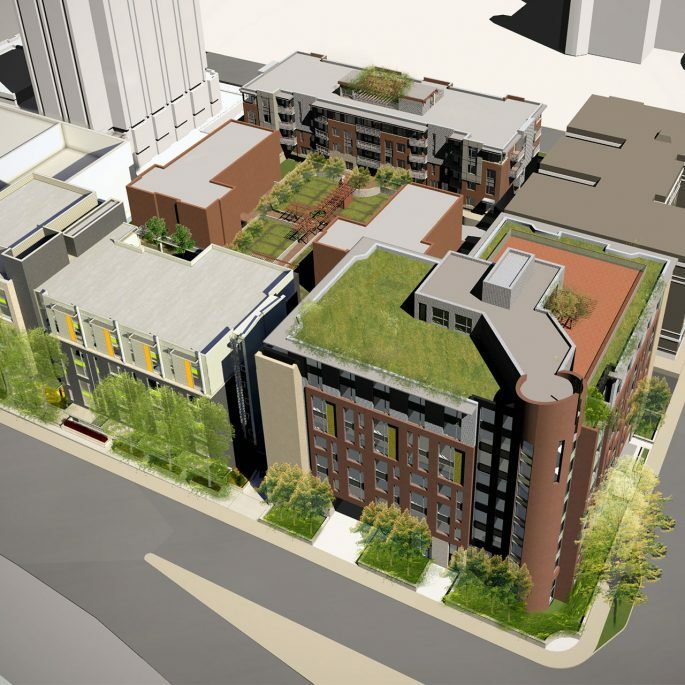 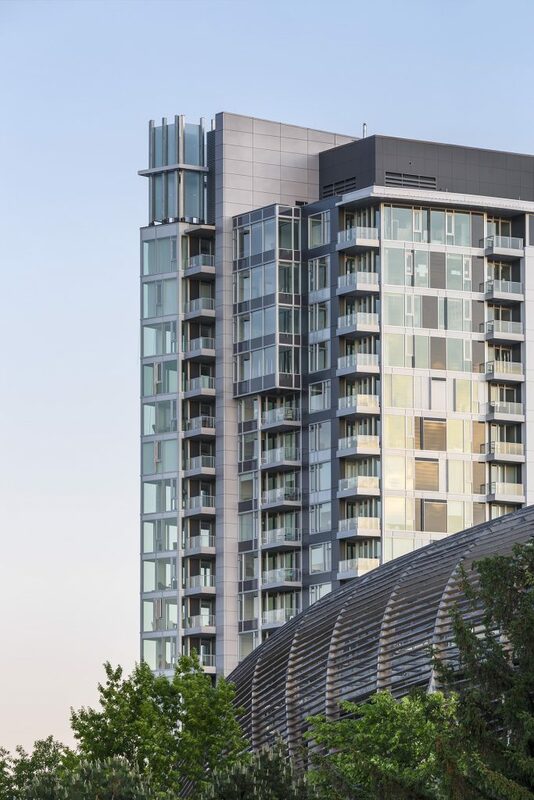 As part of the mixed-use redevelopment of Lansdowne part, the building includes a commercial “annex” space at its north end, which is treated as a separate element, while the slender residential tower reaches upward from a townhouse base and podium terrace. 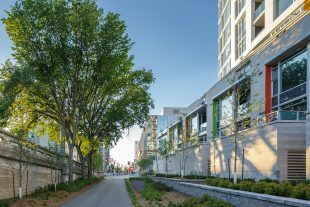 Due to the site’s unique urban locale and a highly varied ground elevation around the the building, its design had to respond to four distinct conditions. 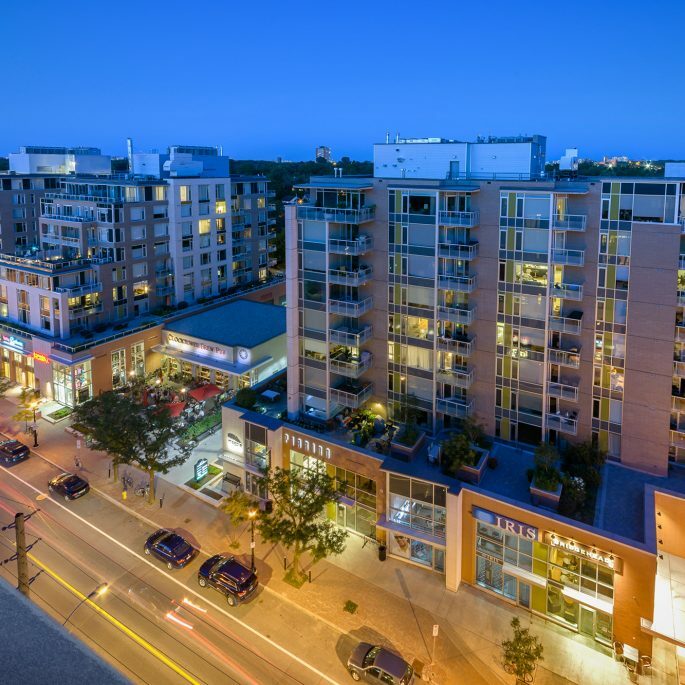 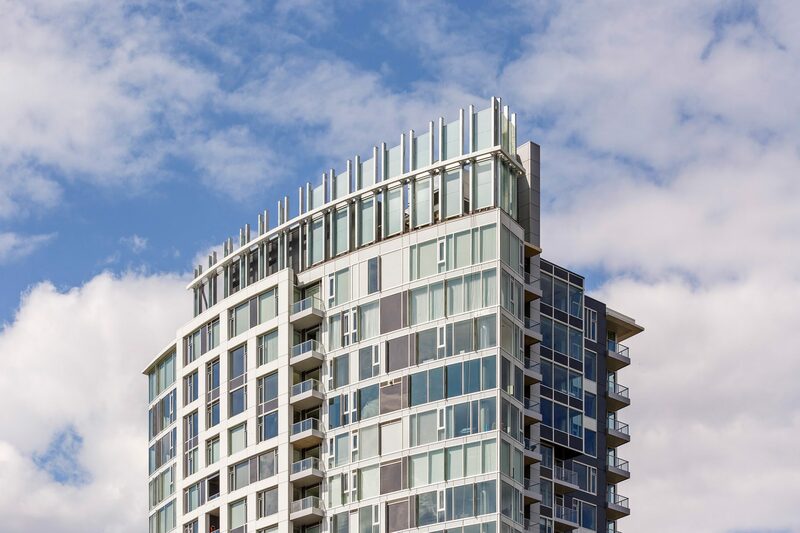 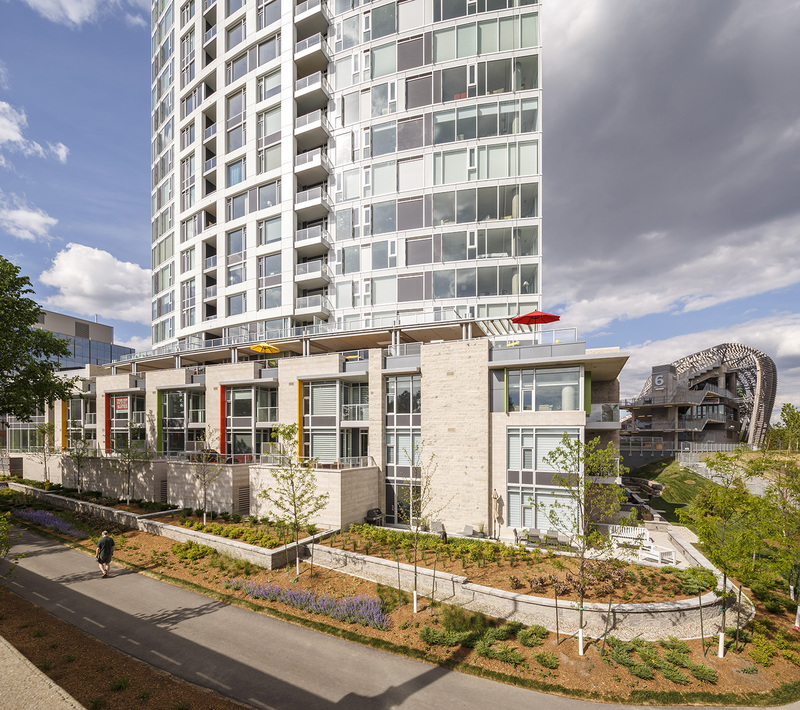 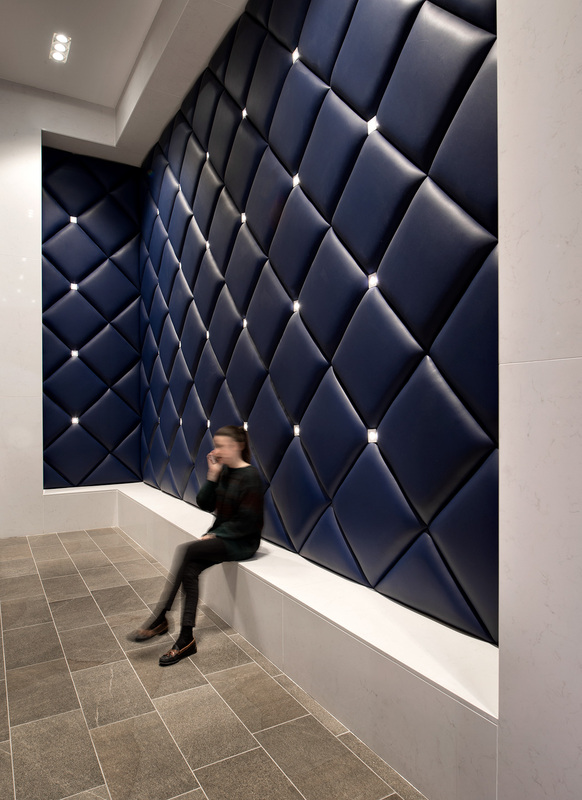 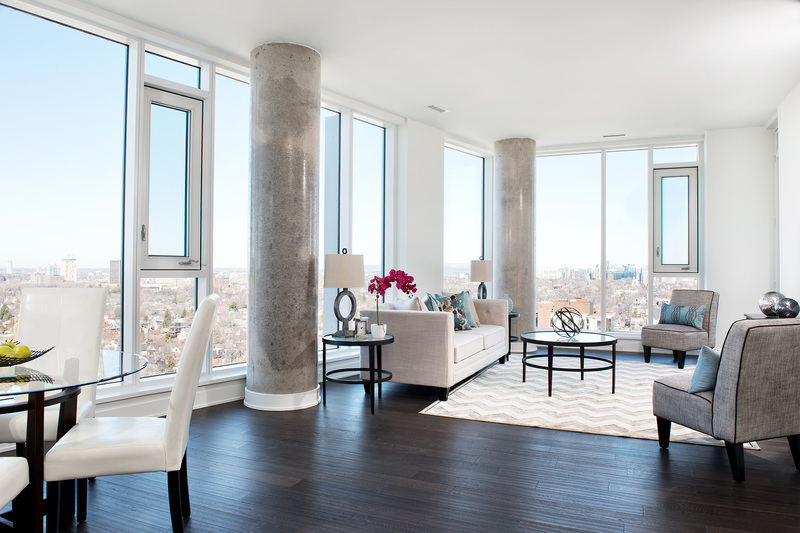 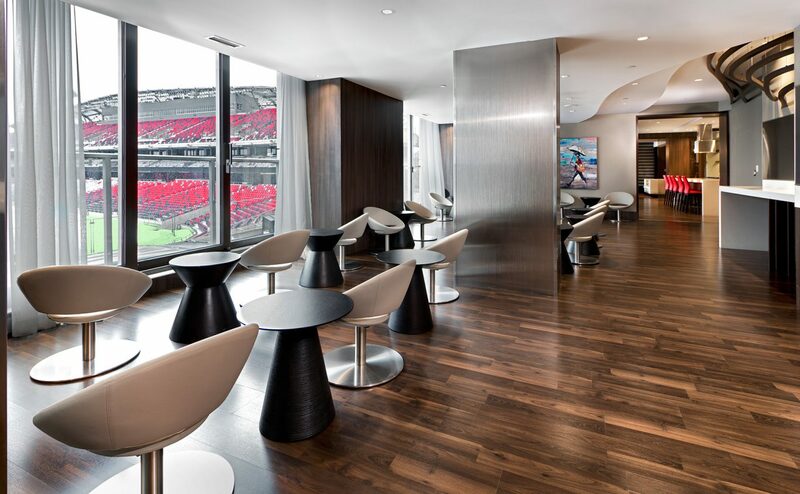 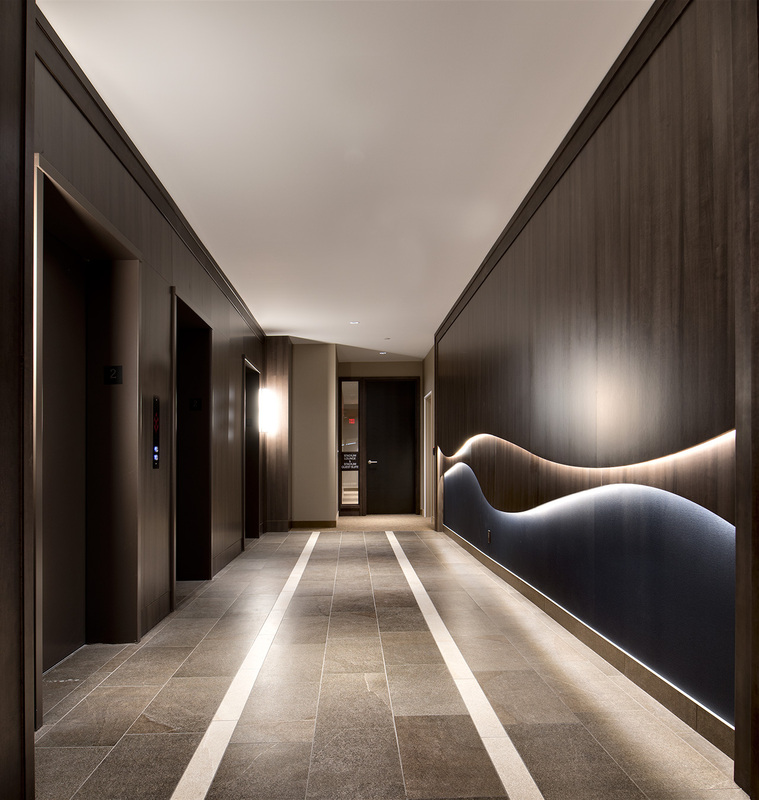 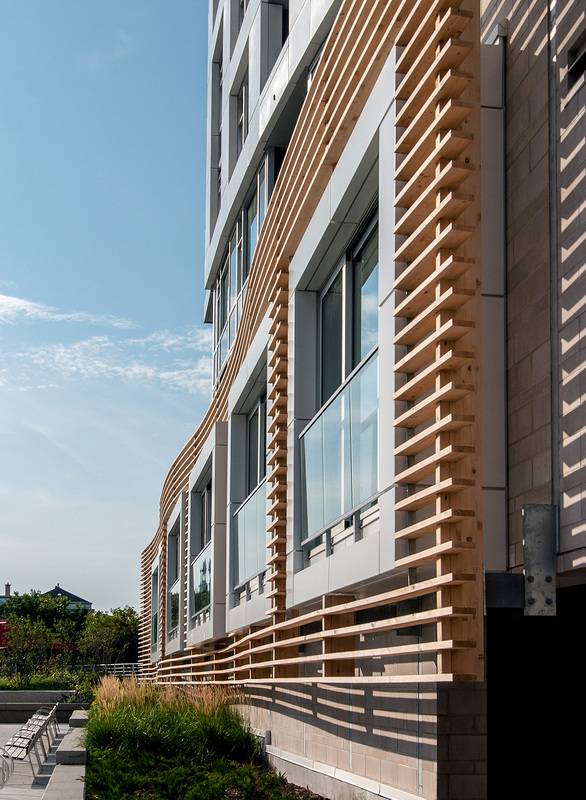 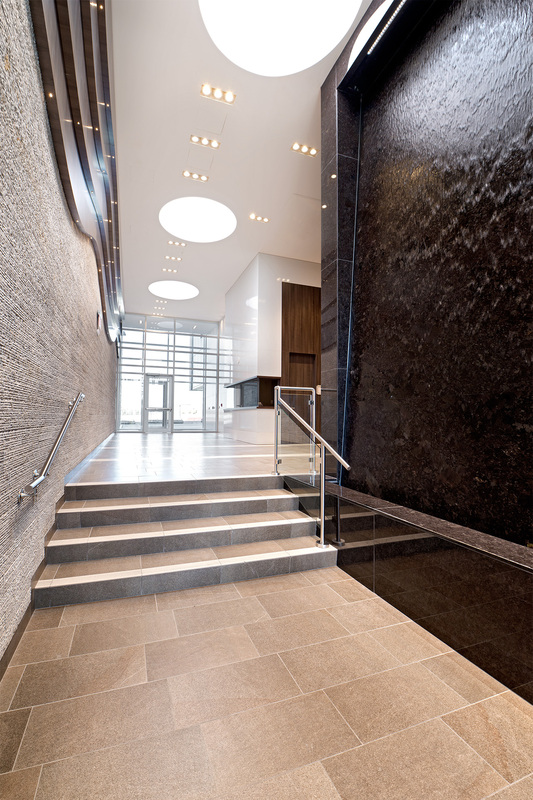 At the north side, the commercial “annex” space acts as a buffer between the bustling commercial zone at the heart of the Lansdowne site and the residential tower, achieving a more tranquil and private environment for its occupants. Also directly to the north is the major pedestrian thoroughfare for attendees of the stadium off of Bank Street. 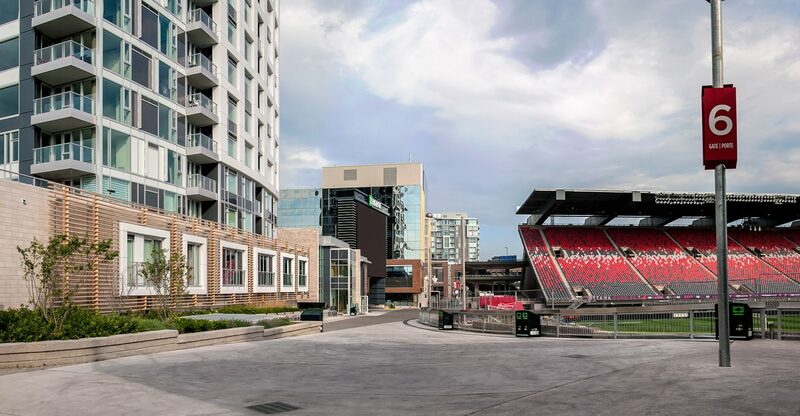 The west facade, best fitting the role of the building’s “front,” is tucked between the stadium and the Bank Street bridge over the Canal, and is landscaped to address the sloping grade down to the water. 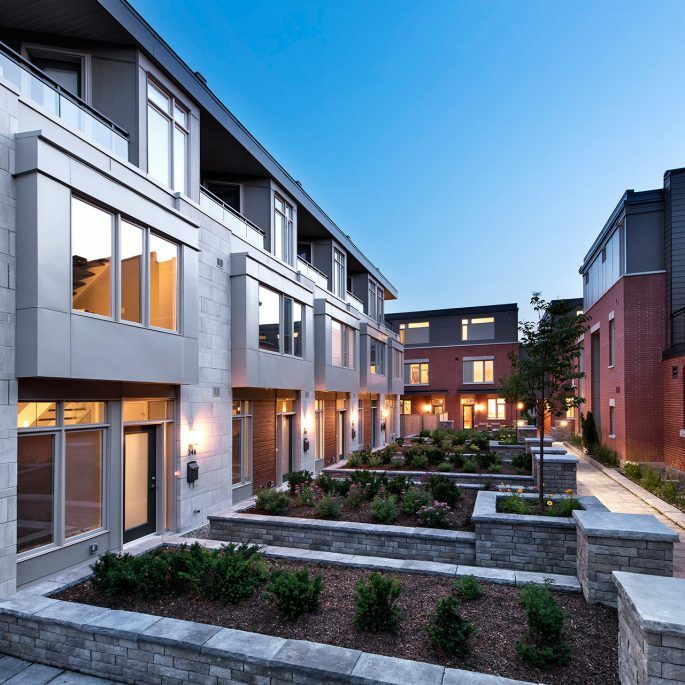 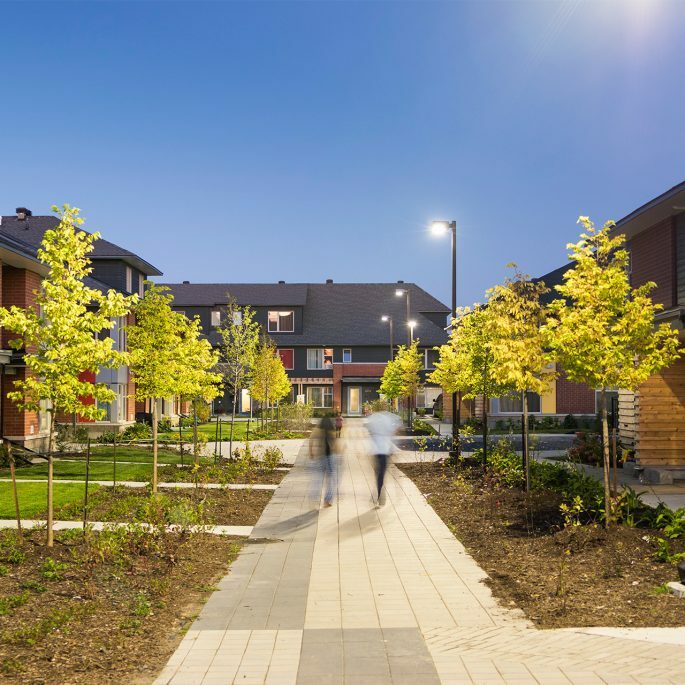 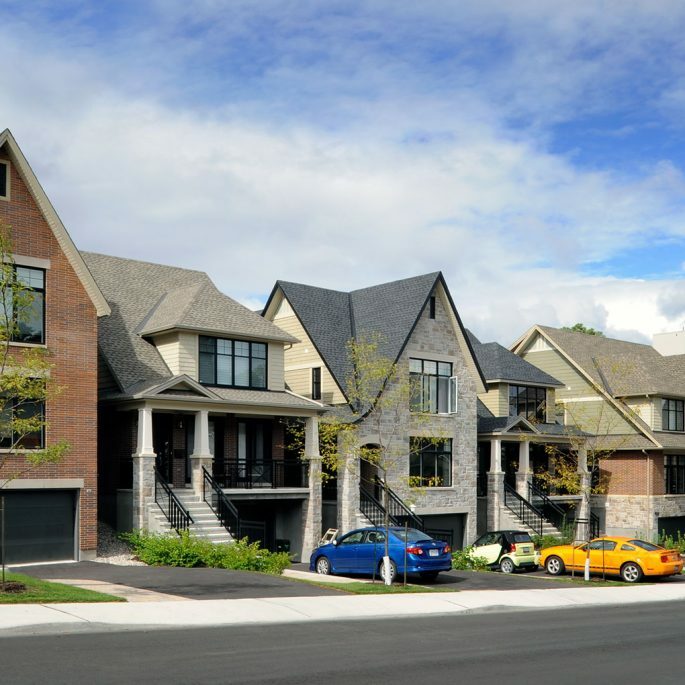 Two-storey townhouse units line the podium and wrap around the corner to the south, revealing a third storey of residential units which enjoy private terraces facing the Canal. 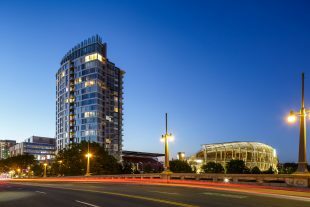 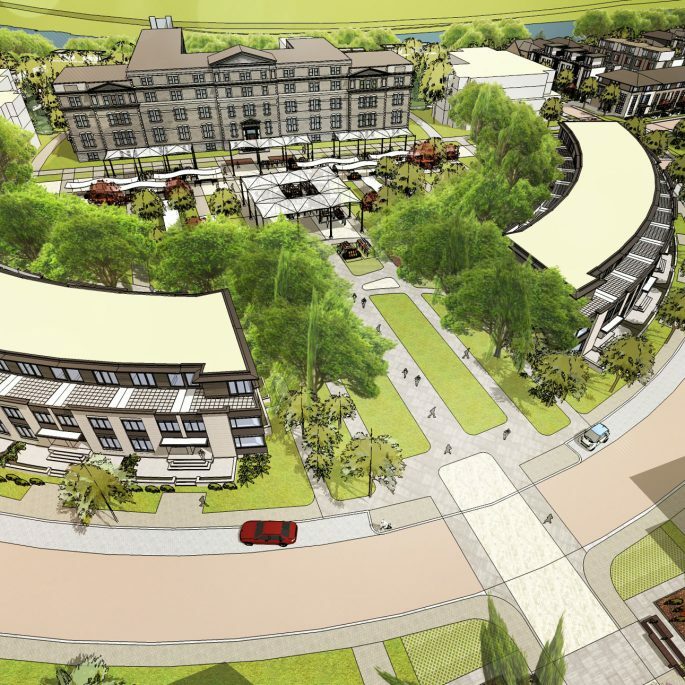 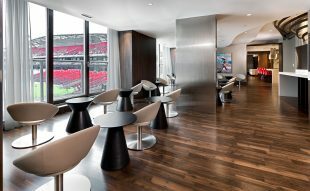 To the east, the building takes on a sports-oriented treatment, with amenity spaces and residential units geared towards sports fans.